The ultimate mountain running event has been launched by Sky Running UK & Pura Power Events. Based in the English Lake District, from the outdoor Mecca of Ambleside, the Lakes Sky Ultra looks set to be a mega classic. MountainRun are proud to announce the launch of the Lakes Sky Ultra. Based in the heart of the Lakeland village of Ambleside the race looks set to be a mega SkyRunning Classic Mountain Trail Race. 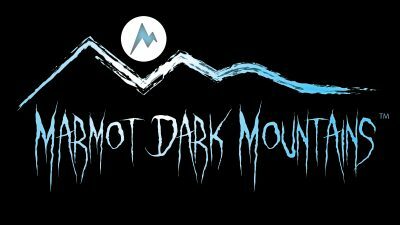 MountainRun are a supporting sponsor, alongside True Mountain (Headline Sponsor), Mountain Lite, Team Nutrition & Suprabeam, all who are supporting sponsors. Skyrunning UK is pleased to announce a new race for 2015, the LAKES SKY ULTRA™. A 50km (+/-) course with 4300m+ ascent that includes soaring ridgelines, rock scrambling and a course that will test the most experienced competitor. Starting and concluding in the iconic Lakeland village, Ambleside: the LAKES SKY ULTRA will look to bring a European feel and ambiance to Skyrunning in the UK. Created by Charlie Sproson (Mountain Run) and Andrew Burton, the LAKES SKY ULTRA™ will follow on from the recently announced Glen Coe Skyline in providing competitors from the UK and overseas with an opportunity to test themselves on a course that harks back to the late 80’s and early 90’s when ISF President, Marino Giacometti went fast and light to the summit of Monte Rosa. Andrew and Charlie have had some great days out planning routes and have therefore created a course with added spice. It will be a test and the route will inspire those who like a challenge. They have pulled together something quite special. Soaring ridgelines in the sky… Skyrunning! Safety is key in any race, however, Skyrunning races of this style are designed to challenge… so, although Charlie and Andrew are looking at safety, a course of this nature does bring risk and ultimately, that is part of the attraction; hence the vetting procedure. “If a runner is asking, ‘I wonder if I have the correct experience?’ they probably don’t!” says Andrew. The LAKES SKY ULTRA™ course is designed to have an element of danger, however, no compromises are being made in regard to the safety of everyone. Make a date in your diary, 12th September 2015. The LAKES SKY ULTRA™ is coming. Go to www.lakesskyultra.ukall relevant details are now live! The race will start and finish in Ambleside and Skyrunning UK sincerely hope over time that the race will mimic some of the experiences that have been encountered in some of the top European races. Think Zegama-Aizkorri or the Dolomites Sky Race. A town center race start and finish includes everyone: families, shops, restaurants, tourists, supporters and of course the race can interact with everyday life. It’s going to be incredible to bring this experience to an iconic Lakeland town. We want people with cowbells, whistles and cheering. A carnival of Skyrunning!